Describe about the Journal of Healthcare Risk Management? The Ramsay Health Care of Australia is effectively in involved in managing risk. The organisational process of the health care organisation includes health care risk managers to track any risk that can prevail in the health system. On the other hand, the procedures that are followed is firstly related to establishing context, identifying the major risks, then analysing the risks, further evaluating the risk that can have serious impact on the health care system and lastly treatment or measure is proposed to control the risks (Franks, 2013). Moreover, in order to meet such criteria, the organisations requires efficient panel of health care experts and employees that can help in tracking and monitoring the potential risks. The organisational process is involved in detecting health issues, diagnosing and treating diseases. Therefore, it helps in improving health of people and improving health economic condition. Moreover, due to high charge on the medicine and equipments company is not able to purchase advanced equipment to measure risks. On the other hand, the social area is highly benefited as it helps in controlling the disease and providing healthy life and making people motivate to have timely checkups (Leal Filho, 2013). The company highly follows the rules relating to prescribing medicine or any treatment. The company uses e-channel to communicate with risk management team so that quick action can be taken. Moreover, company has set firm policy to provide large benefit to patients such as low charge for poor. In case of procedures, the political norms are followed and employees are well paid that are involved in risk management process. The company incurs high capital cost for monitoring risk and improves the knowledge of the people by targeting risk and managing it. On the other hand, advanced technology is used for managing risk so that risk can be controlled. Apart from that, in case of requirements, the equipments and employees are effectively hired that helps in improving economic condition of health and providing large health service to society (Marquardt and Dunlap, 2012). 2: The risks of physical injury due to employ of machine while working, is a centre of the designing a scope that affects the health of the people. Critical Factors: Understanding the level of injury caused to the people and what are the major reason behind such cause. Goals: To provide right treatment and suggestion to the people that has suffered physical injury due to machine use in their work. Strengths: The major strengths of existing technique in avoiding physical injury risk is to work under experts and place all the dangerous machine away from the working place. Moreover, the existing arrangement that is consulting health care experts for treating injury. Consulting with the qualified people helps the injured person to recover in quick time and carry the activities. Weakness: The major weakness is that below income group people are not able to make arrangement for meeting the charge of highly healthcare experts and due to that they are not able to have best advice and get right treatment. Therefore, it makes their case worse. Their issue that is related with the research scientists is to conduct and devise experiments so that scientific knowledge body can be increased. Moreover, their major concern is to develop improved drugs or other medical products so that health of people can be enhanced (Hartmann and Driessen, 2013). They are concerned with improving the health care operation and promoting health wellbeing and sees that the health care workers follow the rules set. A major concern of the director of nursing is to take care of the patients and provide better health care facility. Further, there major risk is to see whether the health care employees are taking up their job with high responsibility or not. The major risk that is associated with the patients is that whether the health care organisations will provide expected treatment and care to them or not. Moreover, they concern about the charge for seeking from the health care professionals. The risk of the funders is that whether their funded amounts are invested in the right direction as per the agreement or not. Moreover, they are concerned about the return they expect to receive from the invested amount. The suppliers’ major risk is to seek right payment for providing medical equipment and medicine. Therefore, their concern is about to get respect and right commission for their valuable duty (Card, Harrison, Ward, and Clarkson, 2012). 4: Stakeholders in an organization are the shareholders, employees, creditors, customers, suppliers, owners etc. If there is a risk in a health care organization then to communicate with the public by informing them about the health risks that can happen if any people suffering from diseases like AIDS. The employees are informed how to take measures in their work place so that they do not get affected from these diseases. The stakeholders should focus on their health and safety risks so that they can save themselves from this danger and what measures they should obtain if they are already determined from this danger (Chassin and Loeb, 2013). B. To obtain the support from the stakeholders during the time of risks the organization should take certain steps like asking the senior officials and the stakeholders to show their participation and commitment towards the organization during risks. To access the risks the technical and the discipline team need to do research so that the risks can be avoided and if the risks are not at all avoided then at least the risks can be reduced and protect the organization from big destruction. Risk management is already included into the business plan when it was made and to overcome those risks meetings are done with the higher officials and then reviews are done on those meetings so that the risk can be reduced (Hundt, Adams, Schmid, Musser, Walker, Wetterneck, and Carayon, 2013).. When the risks are identified in the organization then the stakeholders are called up and also mails are sent by stating them about the risks and ask them what steps need to be done to protect the organization from huge destruction. If the organization is expecting any risks then the stalk holders are told about the type of risks and what impact the risk can make on the organization if those risks take place (Earle, 2012). Organization record- The organization documents are reviewed and information are taken about the risks exposures. For this risk auditing can be done like by doing committee meetings, documenting the policies, contracting for the facilities, proposals for sponsorships and asking for resources from the government fund providers. The organizational records helps in dealing the risks if any such type of risks has already occurred and how the organization had dealt with such type of risks (Leufstadius and Eklund, 2014)..
Professional Expertise- For professional expertise the organization can ask to any external source for their important views which will help them in identifying the risks. The organization can also ask the internal risk management team for their expert views so they can easily identify the risks and avoid them. (Hubal, de Wet, Du Toit, Firestone, Ruchirawat, van Engelen, and Vickers,2014). Tools and techniques used for listing risk in health care department. Different tools and techniques are used for listing the risk in healthcare department the three main tools and techniques are Patient Monitoring, selection of proper physiologic monitors and clinical competency in all the departments should be done properly. Clinical competency in departments like gastroenterology, colonoscopy, adult echocardiography and other departments present in health care department. The monitoring process of patient can be used to identify and list the different risk which may occur during operation, anesthesia process or any other process which patient has to undergo. Suppose the patient is suffering from heart problem and has been operated few days, the health care department has to monitor patient daily so that they can analyze if any risk occurs (Lorenzi, 2005). By monitoring or examining patient properly health care department can easily list the risk which can occur while operation or after operation. The patient monitoring has to be done by department from initial step to last step i.e. after giving anesthesia to patient to after the operation is done. Monitoring is to be done of both patient as well as the medicines or medical device support patient is getting. Clinical competency helps health care department to know about the medical activities involved in patient care process. Every patient has to undergo different care and medical support, so clinical competency helps medical professional to analyze the complete activity which are involved in patient care (Wannisky, 2001). Without clinical competency medical professional cannot analyze the risk which may occur while patient care and operation. Monitoring of medical device or support can help department to know about their risk. The risk matrix is used to analyze the risk likelihood to severity of the risk which may occur in health care department. Risk is measured in low level, medium level and high level (Stahl, 2004). Risk can be in relation to patient, technological support used by healthcare department, medical devices used or pother. If patient is suffering from severe heart problem and for getting their treatment started, they have to wait long this can affect the patient condition as well as the department relation with patients (Malone, n.d.). The medical devices used for treatment in health care department have to be updated and available as per the requirement of patients. If health care department is using obsolescent technology or medical device for treatment of their patients it can increase the chance of risk occurrence while operation or in after care process (Meucci, 2005). Health care department should be available with all the primary and secondary medical facilities. The above shown risk matrix is used to show the risk level which occurs at various levels. Health care department is based on patients; medical service provided by them, risk may occur in any field. Risk matrix shows the level of risk assessment occurred in health care department. Constantly solicit the feedback: Solicit feedback of the stakeholders or relevant parties allow the management in understanding the actual risk of the business. Measuring the risk they are able to implement appropriate strategy that will be very much helpful for the business (Card et al., 2012). Determination the level of risk with the varied of investment: For the business, this option will be the best technique of reducing financial risk because it allow the organization taking the stocks information and provides high rate of return to the business. Apart from that, the develop bond in this option are less risky rather than the stocks of investment into business (Chen et al., 2012). 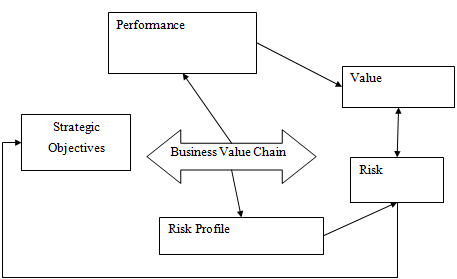 In order to manage the operational risk, management of the organization in business sector has to implement the service oriented architecture within their business because it enables the marketers in flexible integration of IT system that increase the agility and visibility of business process as well as provide support (Chol et al., 2012). Health quality standard will be the most appropriate option for compliance risk. Increase of health quality standard in business organization can motivate their staffs in better way and mitigate the risk of compliance (Franks, 2013). Hartmann and Driessen (2013) cited that strategic risk associated directly with the operational process of the organization in business sector. Therefore, organization has to implement the tools and technique of monitoring the stakeholders such SAP ERP that allows them in identifying the preference of stakeholders along with changes. This technology helps in understanding the current requirement of stakeholders including customers (Tworek, 2012). Thus, organization in business sector is able to mitigate the problems of stakeholders and changes their strategy early. In order to communicate the risk management process to the stakeholders of the company for strategic risk, management staffs of the organization have to involve several process such as formal meeting in each week, brainstorming session, bulletins, newsletter, survey etc. This process will allows the business manager of an particular firm in providing the information via asking the question about the current strategic risk (Irving, Prager and Standley, 2010). Apart from that, Irving, Prager and Standley (2010) argued brainstorming session helps in drawing the shape of risk management process and share the idea of managing strategic risks to the stakeholders. Bulletins allow the company in business organization to provide up to date news to the stakeholders and through the newsletter written the risk management strategy through emails or sending online copy to the stakeholders (Shi, Jaeger and Ye, 2013). In order to implement and monitor the action plan, as business manager of an organization in business sector need to consider several steps such as rising of awareness, training, monitoring, reporting, etc. Raising awareness: Distributing the information materials with the relevant parties provide basic information of risk management plan. Organizing the events, conferences, etc disseminate the action plan (Leal Filho, 2013). Training: Through training manager can increase the energy of production of the taken action plan. Apart from that, manager of the firm can make consistent the staffs in collecting information via training (Loeppke, Edington and Bég, 2010). Training also allows the relevant parties in recording, monitoring and evaluating action plan the risk management process. Monitoring & reporting: This will be the effective method of implementing and monitoring action plan of risk management process (Marquardt and Dunlap, 2012). Performing regular update, conducting periodic review and identifying the necessary of corrective actions, manager can implement successfully the taken action plan of risk management process (MECHCATIE, 2010). Conduct periodic review: It helps in progressing the meeting goals and interims. Identify necessary action: Monitor the performance of the working staffs, conducting formal meeting regularly with the relevant parties, understanding the activities of the stakeholders (Rai et al., 2013). Perform regular updates: In order to monitor the risk management process action plan, manager has to provide regular updates of the stakeholders of current working process (Rohde and Dengsøe, 2010). Card, A., Harrison, H., Ward, J. and Clarkson, P. (2012). Using prospective hazard analysis to assess an active shooter emergency operations plan. Journal of Healthcare Risk Management, 31(3), pp.34-40. Chassin, M. R., and Loeb, J. M. (2013). Highâ€Reliability Health Care: Getting There from Here. Milbank Quarterly, 91(3), 459-490. Chen, C., Tseng, C., Hsu, W. and Chiang, W. (2012). 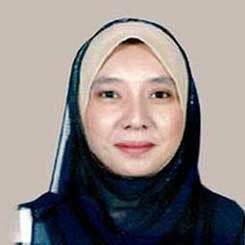 A novel strategy to determine the insurance and risk control plan for natural disaster risk management. Nat Hazards, 64(2), pp.1391-1403. Chol, C., Guy, C., Jacquet, A., Castot-Villepelet, A., Kreft-Jais, C., Cambazard, F., Beyens, M., Mounier, G., Marsille, F. and Mismetti, P. (2012). Complications of BCG vaccine SSI® recent story and risk management plan: the French experience. Pharmacoepidemiol Drug Saf, 22(4), pp.359-364. Earle, T. C. (2012). Trust in Cooperative Risk Management: Uncertainty and Scepticism in the Public Mind. Routledge. Franks, P. (2013). Records and Information Management. Chicago: American Library Association. Hartmann, T. and Driessen, P. (2013). The flood risk management plan: towards spatial water governance. Journal of Flood Risk Management, p.n/a-n/a. Hubal, E. A. C., de Wet, T., Du Toit, L., Firestone, M. P., Ruchirawat, M., van Engelen, J., and Vickers, C. (2014). Identifying important life stages for monitoring and assessing risks from exposures to environmental contaminants: results of a World Health Organization review. Regulatory Toxicology and Pharmacology, 69(1), 113-124. Hundt, A. S., Adams, J. A., Schmid, J. A., Musser, L. M., Walker, J. M., Wetterneck, T. B., ... and Carayon, P. (2013). Conducting an efficient proactive risk assessment prior to CPOE implementation in an intensive care unit.International journal of medical informatics, 82(1), 25-38. Irving, A., Prager, A. and Standley, C. (2010). A customizable plan for effective claims management.Journal of Healthcare Risk Management, 30(2), pp.11-19. Leal Filho, W. (2013). Climate change and disaster risk management. Heidelberg: Springer. Leufstadius, C., and Eklund, M. (2014). Time use among individuals with persistent mental illness: Identifying risk factors for imbalance in daily activities: Previously published in Scandinavian Journal of Occupational Therapy 2008; 15: 23-33. Scandinavian journal of occupational therapy, 21(S1), 53-63. Loeppke, R., Edington, D. and Bég, S. (2010). Impact of the Prevention Plan on Employee Health Risk Reduction. Population Health Management, 13(5), pp.275-284. Lorenzi, N. (2005). Transforming health care through information. New York: Springer. Malone, C. (n.d.). Medical office management. Marquardt, E. and Dunlap, N. (2012). Compensation Risk Assessments: A Process for Active Plan Management and Continuous Improvement. Compensation & Benefits Review, 44(1), pp.6-11. MECHCATIE, E. (2010). Risk Management Plan for ESAs Begins This Month. Hospitalist News, 3(3), pp.1-2. Meucci, A. (2005). Risk and asset allocation. Berlin: Springer. Rai, B., Nepal, B., Gunasekaran, A. and Li, Y. (2013). Optimisation of process audit plan for minimising vehicle launch risk using MILP. International Journal of Procurement Management, 6(4), p.379. Rohde, L. and Dengsøe, C. (2010). Higher Pensions and Less Risk: Innovation at Denmark's ATP Pension Plan. Rotman International Journal of Pension Management, 3(2), pp.22-29. Shi, P., Jaeger, C. and Ye, Q. (2013). Integrated risk governance. Berlin: Springer. Stahl, M. (2004). Encyclopedia of health care management. Thousand Oaks, Calif.: Sage Publications. Tworek, P. (2012). Plan Risk Response as a Stage of Risk Management in Investment Projects in Polish and U.S. Construction - Methods, Research. Annals of the Alexandru Ioan Cuza University - Economics, 59(1). Wannisky, K. (2001). Department of Health and Human Services, Health Care Financing Administration. Washington, DC: U.S. General Accounting Office.